If there are two things Alberta knows best it’s cowboy culture, and steak. Renowned for its ‘Alberta Beef’, the province has made a name for itself with its award-winning beef, farming techniques, and of course the culture that comes with it. There is no better way to experience both a Banff horseback ride and a cowboy BBQ cookout than by joining us at our Warner Stables in Banff. Whether everyone rides a horse or some of the family choose to take the wagon, we all meetup at our 3 Mile Cabin for an unforgettable BBQ. When you arrive, you’ll work up an appetite with some cowboy games like horseshoe and lassoing, while our backcountry cooks get to work cooking up a delicious backcountry meal. This is the best way to experience life as an Albertan cowboy or cowgirl. Riding A Horse To 3 Mile Cabin? This is the midway point of your ride. Gentle and great for anyone over the age of 8, you’ll trot on your horse or ride in a wagon along the Bow River as its turquoise glacial waters flow by with common sightings of muskrats and beavers. This area is a wide open river valley that is like nowhere else in Banff National Park. 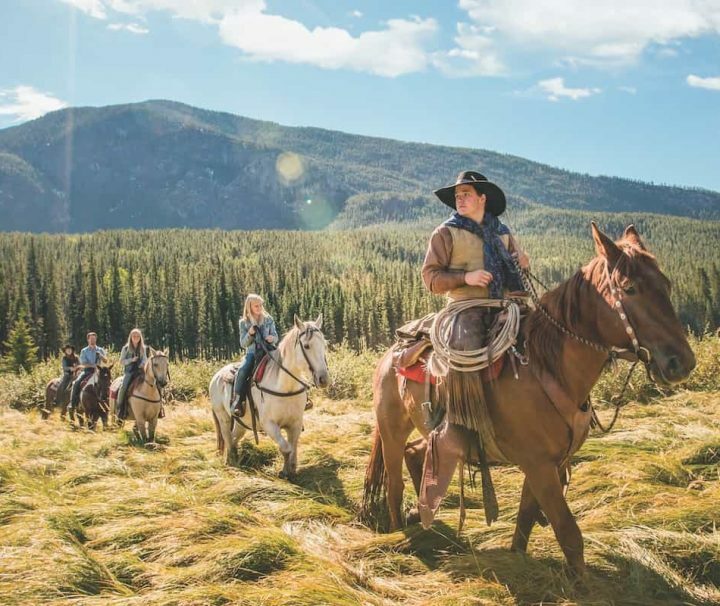 Take in the bird sightings, peaceful quiet environment, vibrant and lush mountain scenery, and feel free to ask our guides questions about our horses, riding and life in Banff. Making your way to Sundance Canyon, the views never stop – passing bikers, hikers, and canoes compliment the ample recreational opportunities of this area. 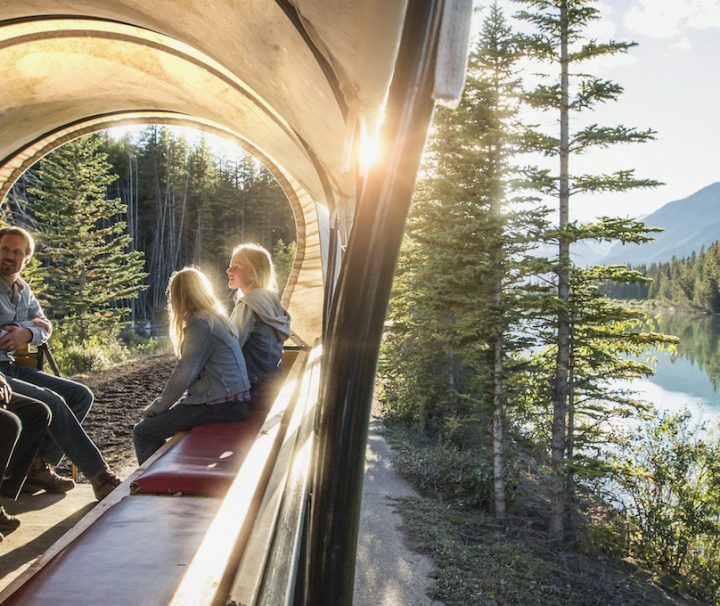 It cannot be emphasized enough how alive this area truly is – the sights, sounds, and fresh mountain air overwhelms senses and makes this experience and all Banff National Park moments into memories. Mealtime comes just in time after games and time enjoying the forest air. BBQ steak to your liking, potatoes, in true cowboy cookout fashion – this will be a meal to remember. Not a steak lover? Not to worry! Dietary restrictions and vegetarian options are always welcome as well. After our stomachs are full and our arms are tired from perfecting the perfect lasso, it’s time to make our way back to Warner Stables. Evening cookout visitors are treated to spectacular sunsets as the sun makes its way down perfectly between mountains. 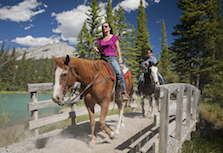 Book now, saddle up and come along for the best cowboy horseback riding with Banff Trail Riders!